Ceratozamia mexicana, also known as the “Mexican Horncone”, is native to forests habitats ranging from the tropical lowlands to dry mountainous cloud forests in the Sierra Madre mountains of Mexico. Ceratozamia mexicana is a remarkably tropical-looking cycad, producing relatively large spined cones, thus the name “Horncone”. This attractive, medium-sized cycad grows a trunk up to 2 feet tall and with arching dark green leaves forming a graceful crown. Its spineless leaves grow from 4-6 feet long, forming an 8-10 foot leaf spread. Its new leaves can emerge bronze or light green. 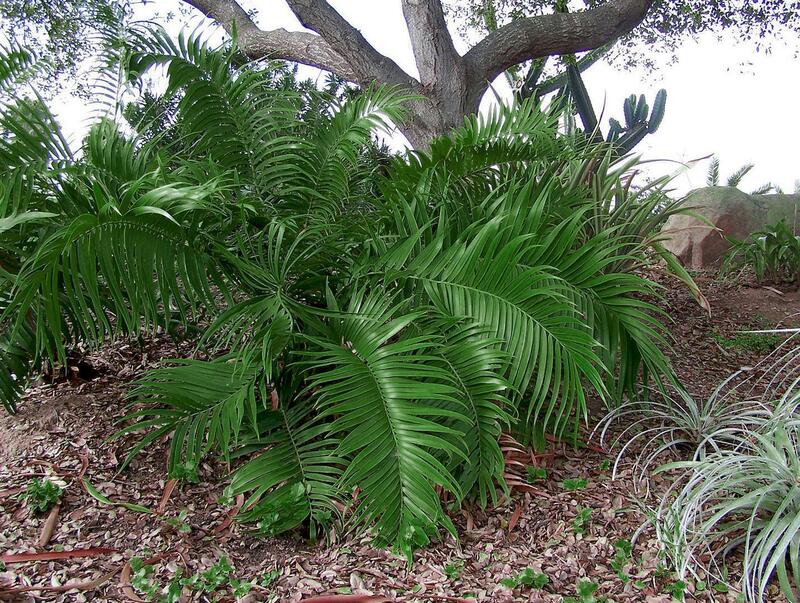 Ceratozamia mexicana prefers shade well-drained soil. It is a relatively slow growing plant. It is an excellent landscape specimen near a pool or in a shady area of a garden. Ceratozamia mexicana's ability to grow in low light makes it adaptable for houseplant use because it can thrive with little light in a dry atmosphere. Its spineless leaflets make it safe in higher traffic areas.